Islam is not a religion to be practiced in isolation—it demands community. 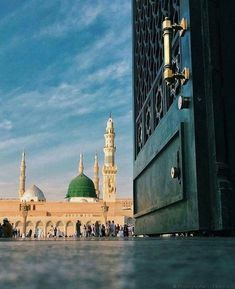 Remember that when the Prophet Muhammad (peace be upon him) moved to Madinah he spent the initial months establishing brotherhood and a masjid (mosque). But what if you don't live near a mosque? Can going online satisfy one's needs? Thank you for this resource list. Please post more. The first months, and in some cases years, for many reverts are usually challenging as they are an important transition stage with many things to learn and do, all at once. For this to be a smooth transition, it is always useful to benefit from other people's experiences and learn from their insight and wisdom. This panel was a part of 2nd Annual ICNYU Conference held during the first weekend of February at New York University. Panelists included Suhaib Webb, Raymond Brock Murray, Lisa Shah, Will Caldwell, Musa Bryant, Megan Putney, Whitney Terrill, Lisa Shah, Peter Casey, Cyrus McGoldrick , Jay Dabhi and the discussion was facilitated by Khalid Latif.Usually when the convert experience is discussed in a Muslim community, the discussion focuses on why the individual converted. Although there is a great benefit in hearing these stories, the discussion never deepens into issues a convert faces after converting. This panel discusses the real experiences that converts face in dealing with the Muslim community after converting as well as issues with family, relationship, education, and many other topics.ICNYU started the Conver(t)sations program this past January. This program aims to establish an entry point into the community for those who have converted or reverted to Islam. It can be hard for many of us to fit in and find a comfortable place in the Muslim community, and those who are converts are no exception to this. Our hope is to provide an outlet for socializing, mentorship, and discussion that makes the transition process easier for our brothers and sisters who have made the decision to embrace the faith. Its an excellent discussion....Thank you for posting.... Alhumdulillah its well worth the time. Support revert sisters by providing the means to make them feel stable and positive about their lives again; setting them firmly back onto the path to Allah (subhanahu wa ta’ala). Empower revert sisters to resolve their physical and emotional tests which often prevents them from enjoying their lives in their newly embraced faith. If you are a revert sister in difficulty and would like to refer yourself, please click here. I would to like to add this link as this very useful for all those who can not find a good tutor in their country , like in Europe , and America, they can take advantage of online based Quran Teaching Acadmey.